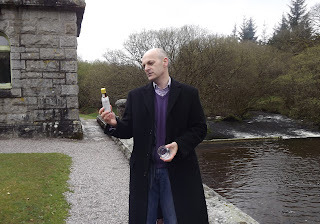 When it comes to making the most of the last day of a trip, I’ve never had such a nice balance as the Pernod Ricard team (and Meghan Kelleher from Access PR) put into our “Tale of Two Cities” itinerary. They gave us the best of two worlds – and the best of English gin. 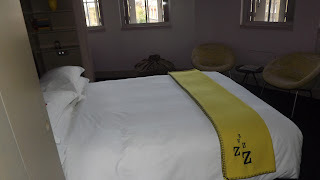 It was nice to be able to sleep in a bit until 8:00, but it was then time to rise for a light breakfast at St. Elizabeth's House and our last tour of Plymouth. 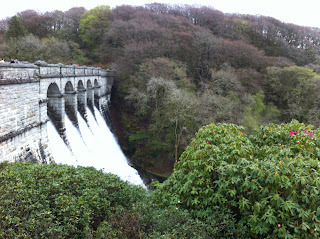 We went to Burrator Reservoir, a beautiful location with waterfalls over the dam. 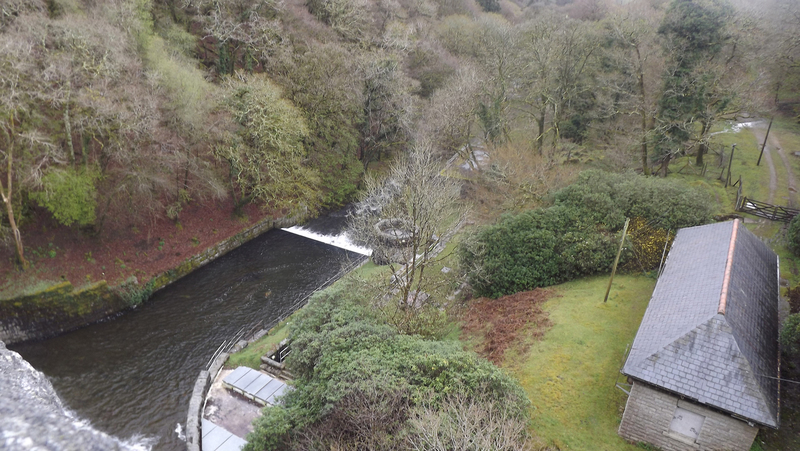 We then traveled down to the river, where the Plymouth Gin team had some surprises for us. We first sampled Classic Pink Gin, which is a combination of Angostino bitters, Plymouth Gin and water. It was very good, though I’m not sure I’d make it my standard morning drink. We did have food, though, to share it with – deliciously fresh English scones with cream and black current jam. 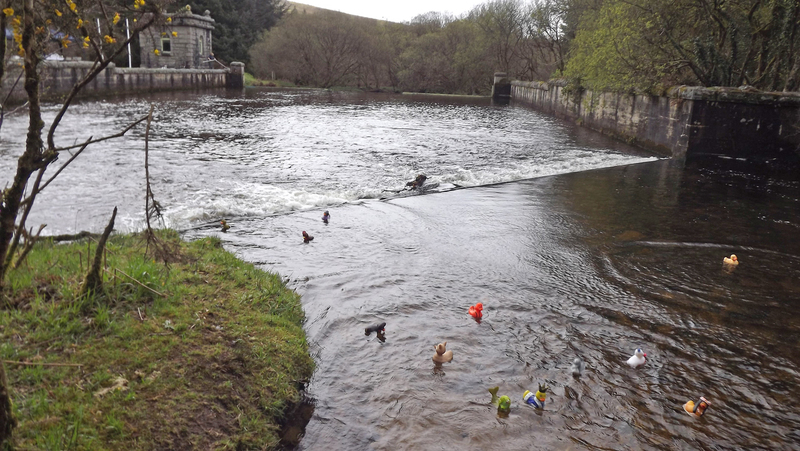 we finished eating we had duck races in the river. I’m proud to say my purple duck came in second and earned me a bottle of Sloe Gin. We were also all given a copy of the Savoy Cocktail Book and said our goodbyes to Plymouth Master Distiller Sean Harrison before heading to the train station. The trip back to London on the train was a long one, but I did get a bit of work (and sleep) in. When we arrived in the city we were taken to the Zetter Hotel. This place was the total opposite of The Dukes, which had been small, yet regal. The Zetter was modern with a contemporary décor. I was especially impressed with the vending machines that dispensed cocktails in the form of small bottles of spirits and their coordinated mixers! After settling in for a bit, we met for drinks at the bar. I stuck with the Beefeater Gin and tonic, before switching to wine with dinner, just upstairs in the hotel’s Bistrot Bruno Loubet. 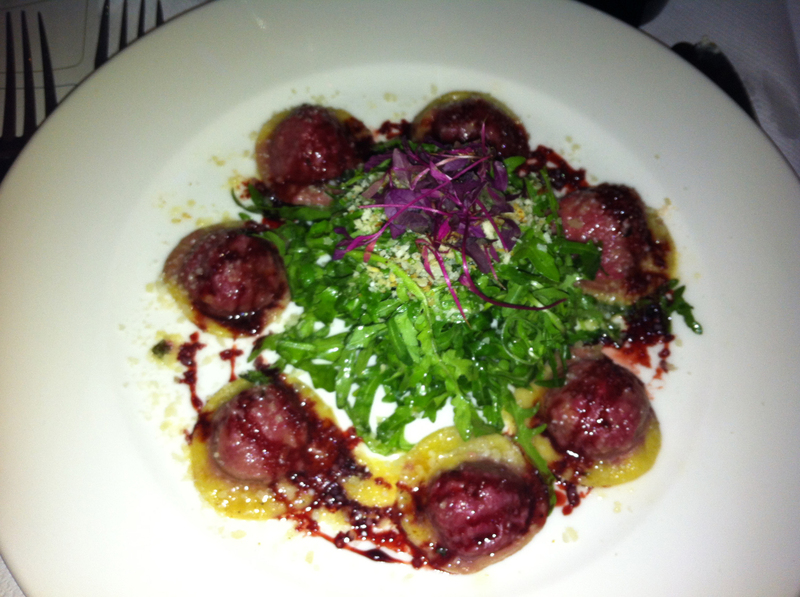 I started with Beetroot ravioli with a rocket salad, fried breadcrumbs and parmesan cheese. It was quite good and I liked the originality. 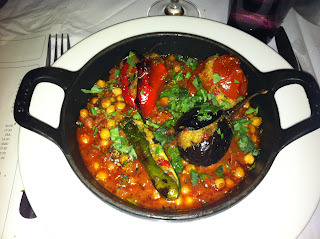 The same could be said of my Provencale Petite Farcis in a tomato and chickpea sauce. I really enjoyed that and was glad to have a break from the week’s meat. Dessert was a tough choice as everything on the menu sounded incredible. I ended up ordering the Apple Tart with Crème Fraiche and cinnamon ice cream, but sampled some of the Chocolate Delice with Pistachio Crumble and Olive Oil and Star Anis Pannacotta. Everything was as good as it sounded. After dinner we went down the block to Zth bar, which showcases the mixology genius of Tony Conigliaro. The décor was as eclectic as the drinks and I think between us we pretty much sampled them all. Some of the standouts were: The Master At Arms with Myers Rum, a port evaporation and homemade grenadine; The Flintlock, Beefeater 24 Gin, gunpowder tea tincture, sugar, Fernet Branca, dandelion and burduck bitters; and my choice, Twinkle, with Wyborowa, elderflower cordial and Perrier Jouët Champagne. I was the first to leave for the night as I had an early morning flight back home. I said goodbye to my new friends and walked back to the Zeter. I left the hotel before dawn and flew back business class on American Airlines, so I had eight hours to decompress, catch up on some movies and get ready for the work week at home. It had been quite a trip to England and I was happy to learn so much about the country, Beefeater and Plymouth on this trip.